Requiring minimal skill level, tubing is the easiest of all tow sports, and as such is a sport truly accessible to the whole family. But that’s not to say it’s not dramatic! From gliding across the surface of the wake, smoothly enjoying the rush of the water flow by, to an adrenaline fuelled white-knuckle rides that surpasses any theme park experience, the choice is yours. The sole goal of our expert drive is to ensure your time on the water is safe and fun filled, so during a brief chat prior to departing the speed of the ride can be determined according to your confidence level. We’ll teach you basic hand signals that will enable you to communicate with the driver, to slow down or speed up… as you feel comfortable. 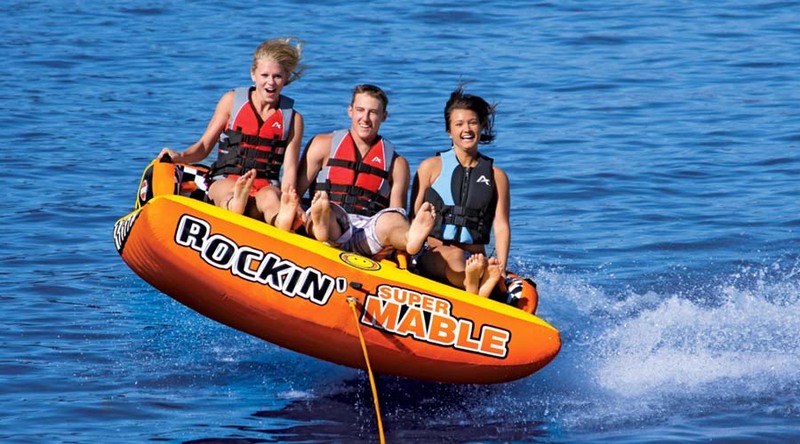 Tubing is a guaranteed grin generator and the inevitable excited chatter as riders, young and old, recount their rides and wipeouts on returning to the boat is a testament to the pure enjoyment everyone experiences. Don’t spectate, participate! 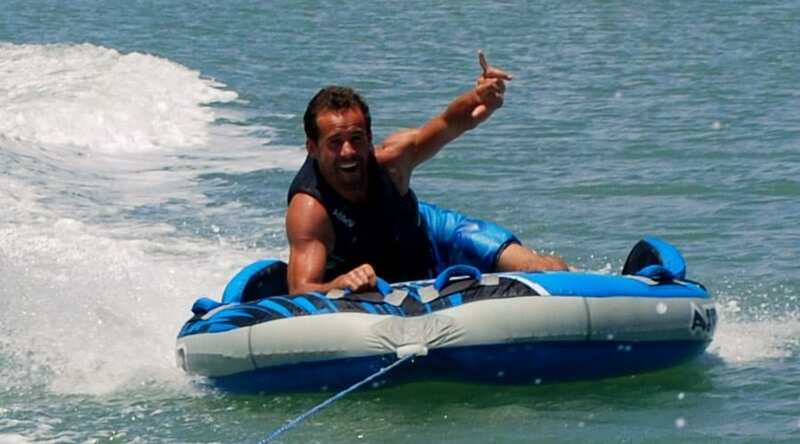 Call 786-484-8022 for more information about our Miami Inner Tubing Watersports Session! The price is for the boat. You can be up to 5 people onboard. Our tube is for 3 people. 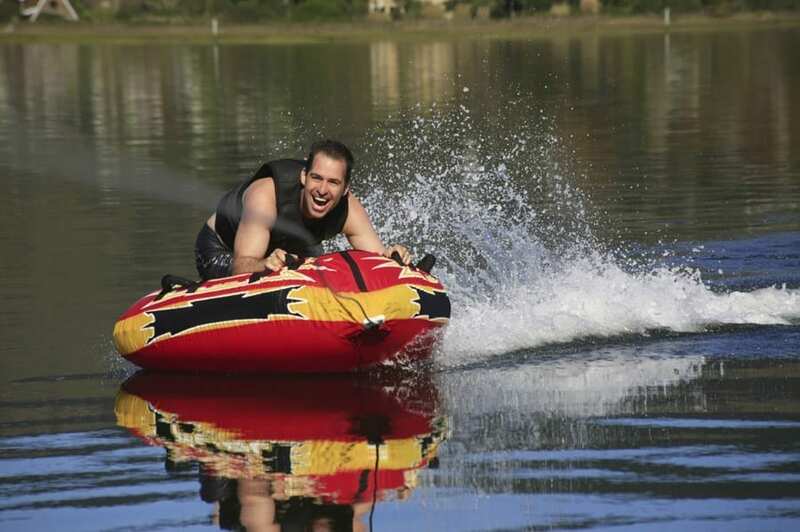 If you wish to, you can also try Waterski, or Wakeboard during your session, at no extra cost. Just let your Captain know before you leave the dock so he can bring the equipment. 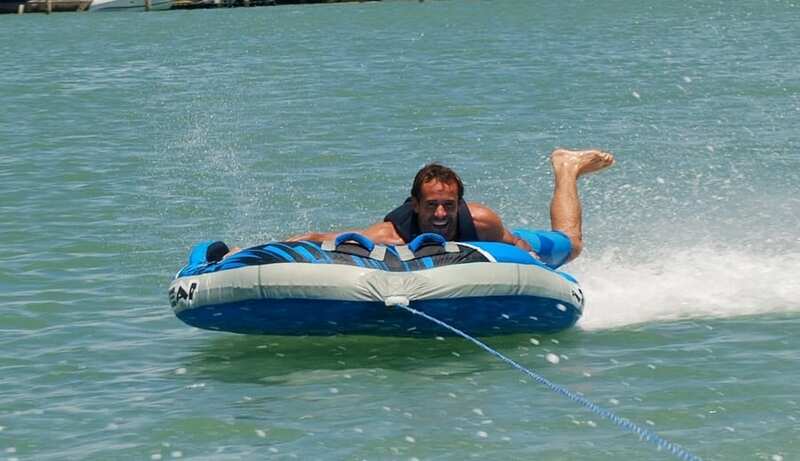 This is a private Tubing session. 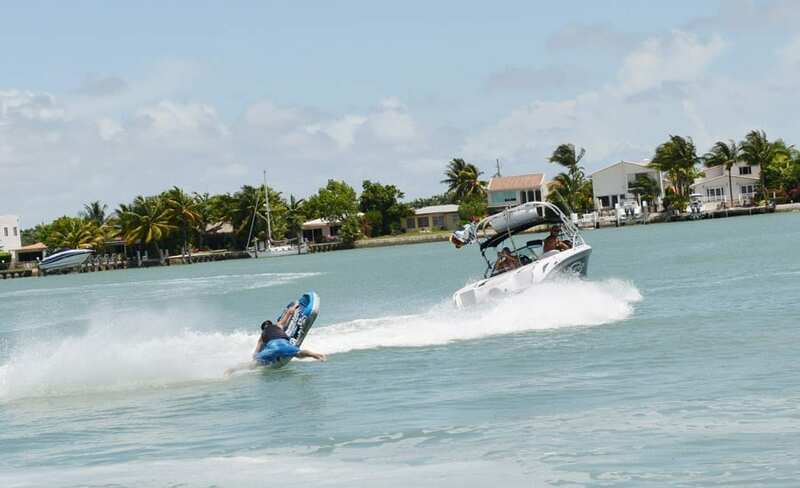 You can also do Waterski, or Wakeboard ( let your Captain know before you leave the dock).